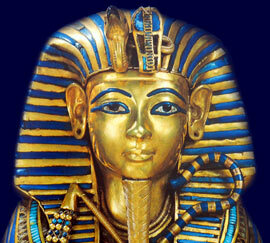 Up to 2007, a total of 63 Tombs have been discovered in the Valley of the Kings. The tombs in the Valley of the Kings belonging to the Pharaohs, leading dignitaries and even animals. KV45 – The tomb of the noble Userhet. Each section of the Tombs in the Valley of the Kings addresses all topics and provides interesting facts and information about the Golden Age of Pharaohs and of Egypt. The Sitemap provides full details of all of the information and facts provided about the fascinating subject of the Pharaoh - Tutankhamun and the Tombs in the Valley of the Kings!